A few months ago I found an amazing deal on flights to Paris, like, too good to be true. So, even though though we were a little timid, we jumped on the deal. 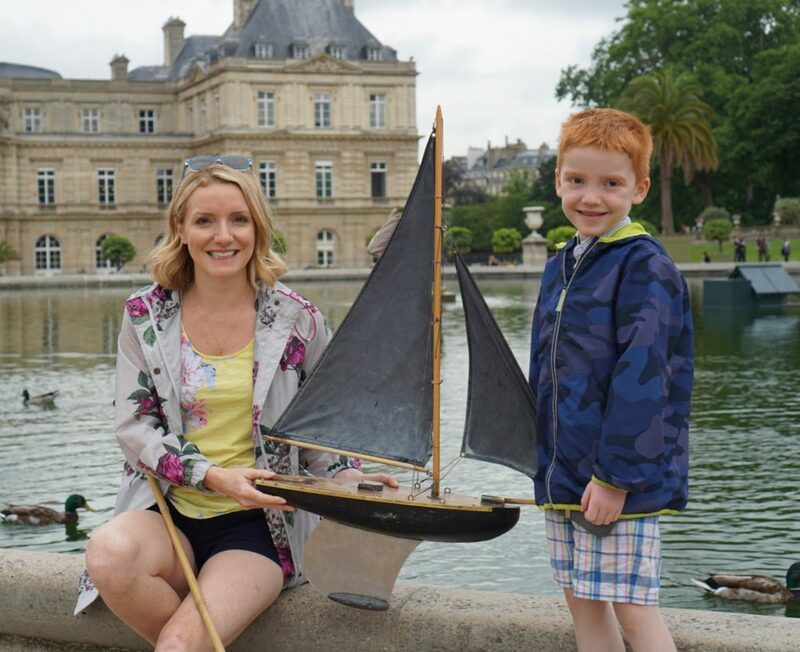 I mean, how hard could a trip to Paris be with a 1, 4, and 6 year old? We’ve traveled quite a bit with them, although this is by far the farthest journey with all three. Along the way we’ve picked up a few tips and tricks. Strollers: We bring a stroller seat for everyone. Even Grant, who is 6. I love to walk in new cities-dragging everyone in and out of public transport is a mess, and how else can you really experience a place unless you see it by foot? 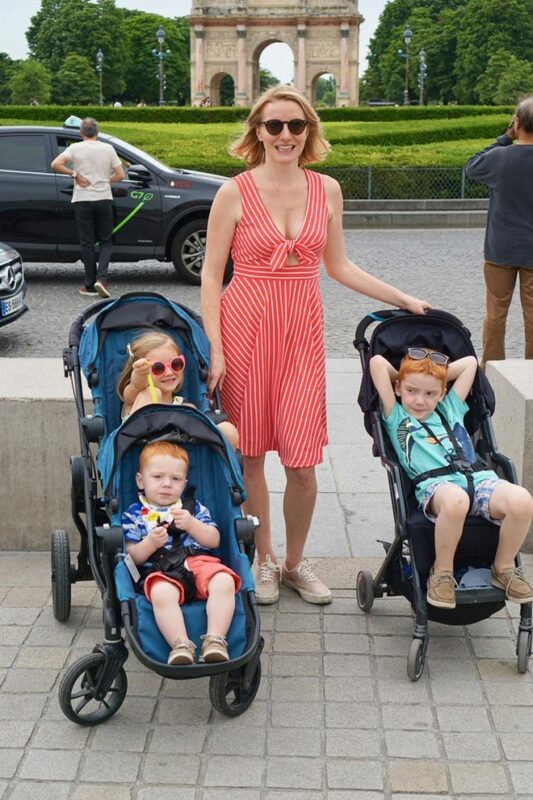 However, the kids can’t do 10 miles a day, so we push them between museums and parks in the strollers, which allows them to get out and have fun when we reach our destination. Those ten miles have the added benefit of allowing us to eat every French pastry in sight without bursting a pants seam. Pick a destination and stay-packing for five is a lot of work, so I like to do it only once. There’s no need to cram three cities into a 7 day trip-there is plenty to see in Paris! 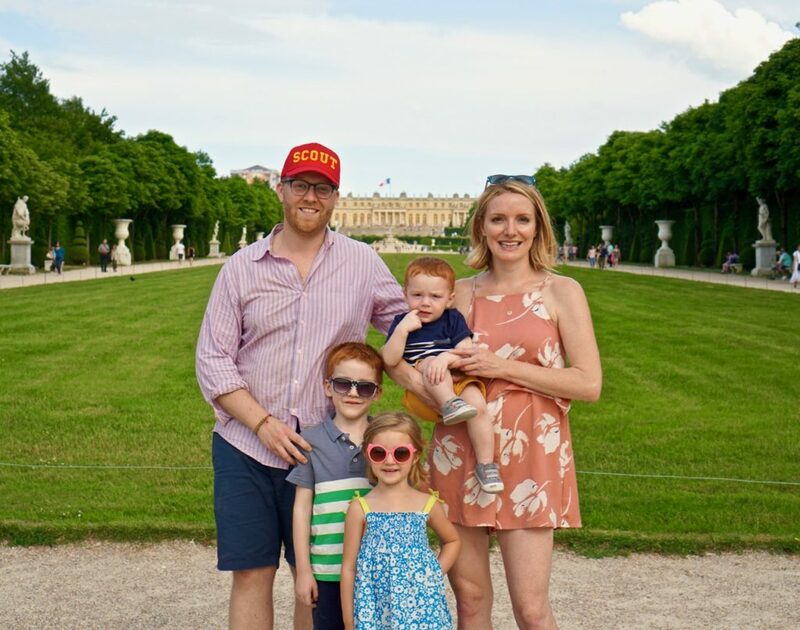 We day tripped to Versailles by train, which is totally doable, but we didn’t try to see all of France in one trip and I’m so glad, because the worst part of any vacation is packing the kids up and getting them to and from airports. Baby Formula-Rex is one, so he drinks whole milk now, but in Europe they make stage 3 & 4 organic powdered formulas (I use Hipp and order it in the US from here) which are made for kids over the age of 1. Think of it as an Ensure without all of the sugar, it’s full of Vitamins and a healthy drink a couple of times a day when your little ones aren’t yet getting fully rounded meals at dinner. One of my closest friends is Swedish and she says back home all of the kids drink it. It’s also powdered and way easier to bring around with you when you’re out and about all day than it is to try and keep milk cold, and most of the restaurants we ate at didn’t have whole milk for the baby. You can also get it from a grocery once you reach Europe. Packaway Raincoats-we stash a lite-weight raincoat for everyone in the bottom of the stroller. Mine is from Joules, Georgia has the kids version and I really like them because they come down to our knees to keep us extra dry. 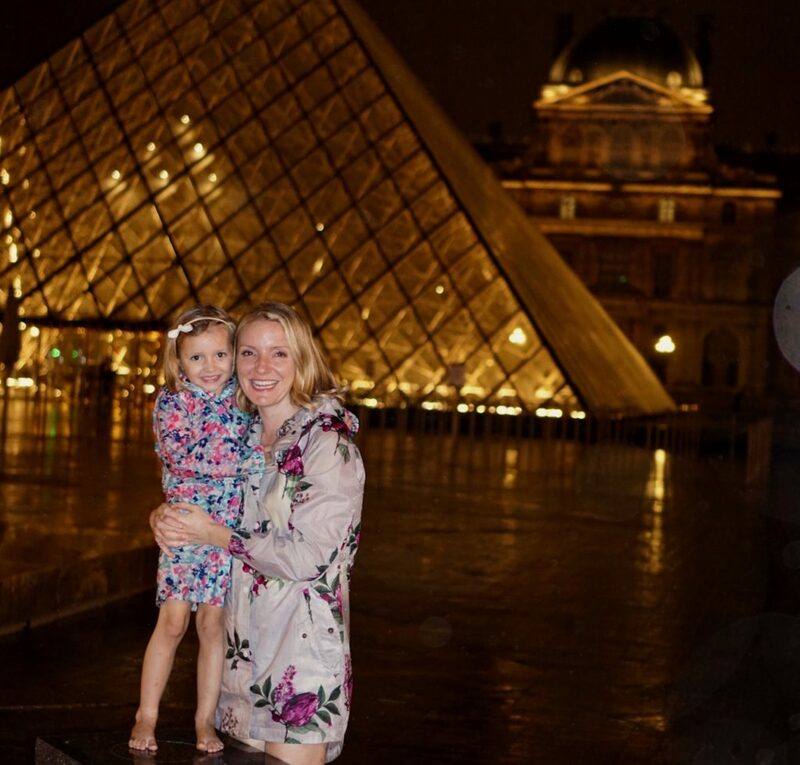 Holding an umbrella and pushing a stroller is a no go, and it was pretty awesome to see the Louvre alone at night because we were the only ones venturing out in the storm. First Class kids seats in Coach-we bought Wap Wap pillows from Amazon for Grant and Georgia, which allowed them to lay their legs flat, so they slept for the entire plane ride. I’ve read a few things about certain airlines not allowing them, but none of the flight attendants had a problem with it Air France. I probably wouldn’t stand up in the center of the plane blowing it up, but we did it quietly after the seatbelt sign went off without issue. 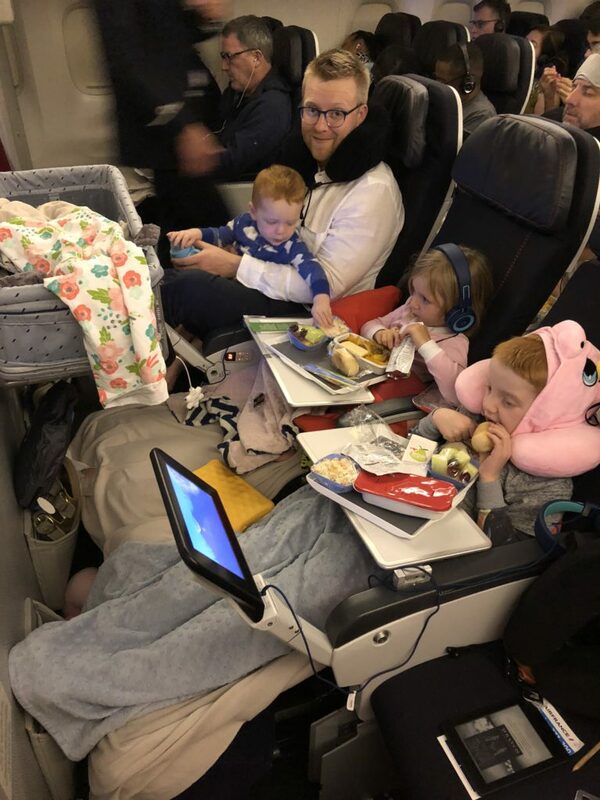 On the return flight we didn’t have bulkhead seats for the entire family, so the kids had seats in front of them, so we partially blew up the pillows and got them under their feet, and then finished blowing them up in place. We also paid a little extra to reserve the bulkhead seat with extra legroom, and the baby bassinet. The bassinet is free and can be used for infants up to 1 and 22 pounds (we may have been a pound or two over…) you just have to call the airline to reserve ahead of time. The bulkhead had the added benefit of being near the flight attendant station, so when Rex was getting fussy I could pick him up and walk him around easily while still being close to the other kids. It was definitely worth the extra $25 a seat. 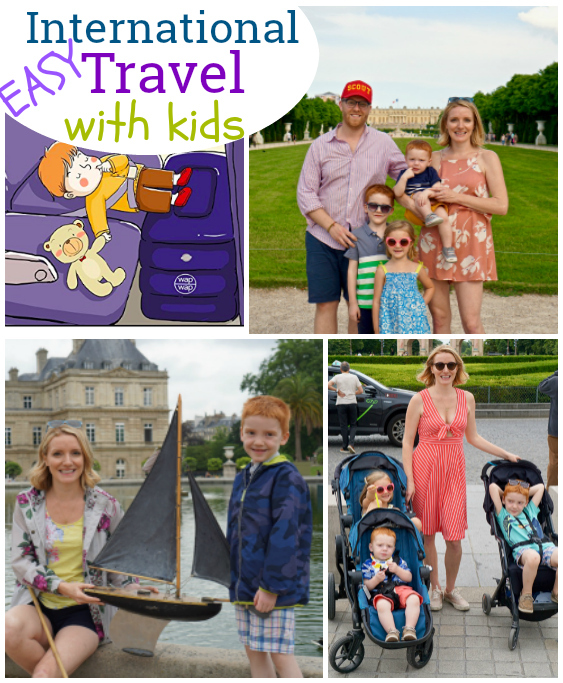 We had a fabulous trip and can’t wait for more adventures with the kids-it’s a ton of fun as long as you plan ahead!